We take a look at some of the critical issues that retirees face as they deal with this stage in life. Paid employment is the most important aspect of many peoples’ lives, and adjusting to retirement can be difficult. Losing work and work friendships can lead to a loss of self-esteem and self-worth, and these are normal reactions to retirement. However, developing other interests, both before and after retirement, can bring enjoyment, mental stimulation, new friendships, activities and increased self-esteem. We are social beings who need to be spend time with others to fully enjoy life, so make sure you give your social calendar some thought. You might like to give back to your community and meet new people by volunteering. The value it adds to retirement living cannot be underestimated! There is a range of volunteer roles out there, and organisations are always looking for passionate people to help them with worthwhile projects. Well-known volunteering opportunities include Meals on Wheels, hospitals and the Red Cross, but there are opportunities to suit all interests. You could work with a community group to revegetate native areas of bush, tutor people, or join a local committee. Visit www.volunteer.org.au for more opportunities and information. Regular physical activity is necessary for a full and healthy lifestyle, it is said that the body is the only machine that breaks down from lack of use. Unfortunately, most people tend to exercise less as they get older, readily accepting that ageing implies getting slower, putting on weight, losing fitness and blood pressure problems. Physical decline can lead to a loss of independence and a substantial loss of quality in your retirement lifestyle, so if you haven’t already, start with your favourite exercise now. Whether it’s swimming, walking, cycling, fitness classes, tai chi or gardening - just do what keeps you moving and what you enjoy! Be active in as many ways as possible, aiming for 30 minutes of moderate exercise every day - you can do this all in one session or a few short sessions. If you are unfit, overweight or not used to regular activities, check with your doctor before starting any types of exercise. Eating a variety of healthy foods will provide you with all the energy and nutrients needed for good health, so make sure you’re eating plenty of grains, cereals, vegetables and fruit. Avoid butter, sugary and processed foods, and reduce your salt intake by using herbs and spices to flavour you foods instead. If you drink alcohol now, then consume only small amounts – one or two standard drinks, two to three days weekly at most. Drinking eight glasses of water (two litres) should be a daily habit. You can find more information about healthy eating when you’re older here. Developing or restoring close personal relationships will be an important part of life in retirement as you’ll have more time for family and your partner. Whether or not your partner is still working or has been retired for some time, it is important to be aware of their needs and lifestyle as they may not welcome demands on their time and space. You might need to talk about the time you spend together, and agree on individual and shared activities, or the household routine. Other family issues, such as how much time a retiree is prepared to babysit grandchildren should be decided at the outset to avoid family conflict. If you live on your own, relationships are also very important, so spend time strengthening a range of relationships within your community. Retirement can open new and exciting opportunities for learning and improving skills. Learning is an enriching, rewarding and challenging experience, with an emphasis on 'growing' rather than ‘growing old’. You may choose to undertake further academic study through a University, TAFE, or even your local community centre or neighbourhood house, and cover topics such as travel, languages, literature or technology. The amount of money you will need for retirement depends on your age and your intended lifestyle. Most retirees need more income in their first years of retirement when they might take the opportunity to travel or pursue hobbies. As they get older, their lifestyle winds down and they will need less income. 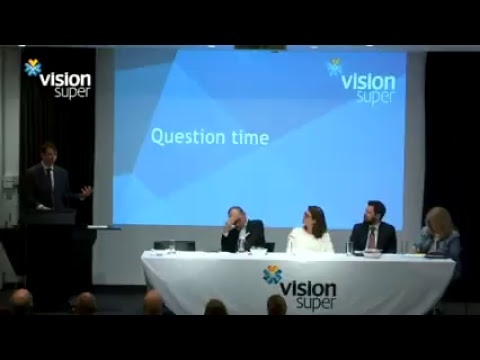 There are a range of calculators available on the Vision Super website that can help you get an idea of how much super you could end up with and how long your super may last. They can also give you an idea of how extra contributions or changing your working hours can affect your balance. Like any of life's milestones, retirement requires careful planning to make it fulfilling. Looking ahead at the lifestyle you want in retirement, what you will do, how you’ll invest, and how much money you will need, will help you ease into retirement and enjoy your accomplishments. Our Member Services team are always here to help. You can call them on 1300 300 820 for further information about your super, or to arrange an appointment with one of our financial planners. 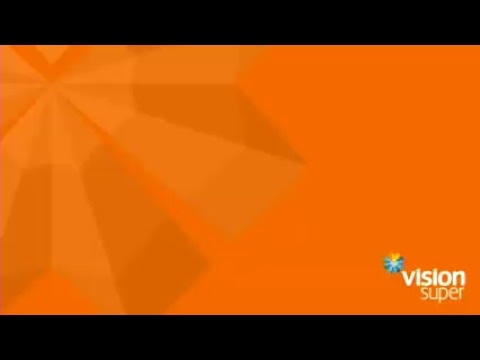 Disclaimer: Your situation is unique. In changing your diet, fitness, training, supplement or health and wellbeing program, you should always consult your doctor. The information provided on this website is for educational purposes only and is not personal medical or health advice.